Womanrunes book and card sets are a powerful resource for womanspirit wisdom. 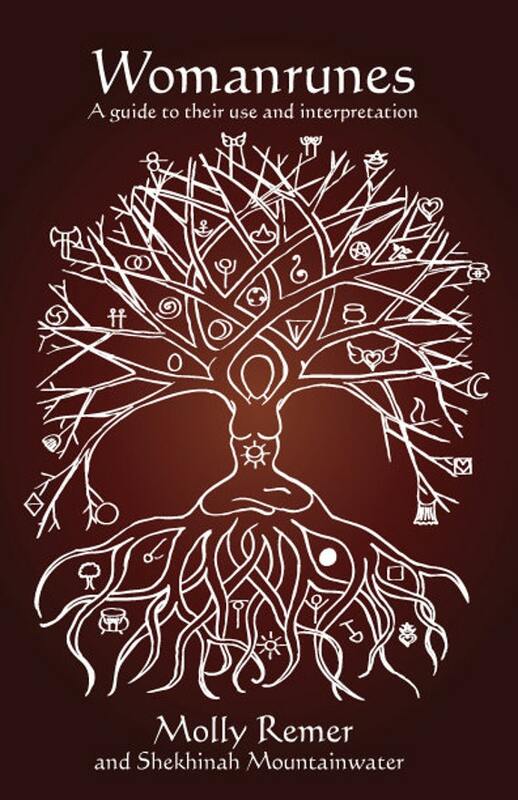 In 1987, women’s spirituality foremother and wayshower, Shekhinah Mountainwater, experienced a “goddess-lightning” strike of inspiration and created a set of 41 woman-identified rune symbols for divination and personal growth. Twenty-five years later, I discovered Womanrunes and created an expanded means of interpreting, using, and exploring these powerful, magical symbols. You can read much more about Womanrunes and how to use them on their own specific page here. Earthprayer, Birthprayer, Lifeprayer, Womanprayer is a 114 page book of earth-based poetry containing four thematic sections all rooted in connection to the land and to the cycles of life. This poetry collection is one of the results of my committed, devotional, year-long woodspriestess practice. I maintained this practice throughout 2013, eventually spending approximately 330 days that year in the same place in the woods listening to what they had to tell me about life, myself, and the Earth. Restoring Women to Ceremony: The Red Tent Resource Kit, was written exclusively as part of a rich collection of resources for Red Tent Circles. In this collection of essays and ritual resources, you will find complete Red Tent “recipes,” circle leadership basics, moontime musings, and readings, quotes, and poems to help you facilitate a rich, inviting, welcoming, creative space for the women of your community. Brigid’s Grove: Ritual Recipe Kit is a 68 page digital book that is only $3.99. This ritual recipe kit includes general information about planning and facilitating rituals. It includes “ritual recipes” for maiden, mother, and crone ceremonies as well as a bonus new baby naming ritual and a family full moon ritual. Each ritual contains a complete ritual script as well as suggested supplies, an actual recipe relevant to the ritual (such as cocoa butter belly balm for a mother blessing), handouts, readings, songs and more.